Literary Arts is pleased to announce the 2015 Oregon Book Awards finalists and Literary Fellowship recipients. The Residue Years, the Multnomah County Everybody Reads selection for 2015, will host the ceremony. Tickets are available at Brown Paper Tickets.com. 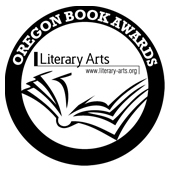 The Oregon Book Awards and Fellowships honor the state’s finest accomplishments by Oregon writers who work in genres of poetry, fiction, drama, literary nonfiction, and literature for young readers. In celebration of the 30th Anniversary of Literary Arts and the newly established Brian Booth Writers’ Fund, the program is granting an additional $30,000 for a total of $59,000 to Oregon’s writers and publishers this year. In addition to recognizing the finest achievements of Oregon authors in several genres, Literary Arts recognizes individual contributions with the C.E.S. Wood Award, the Stewart H. Holbrook Literary Legacy Award, and the Walt Morey Young Readers Literary Legacy Award. The special awards recipients will be announced in February 2015. Literary Arts is pleased to announce the recipients of the 2015 Oregon Literary Fellowships to writers and to publishers. The judges named 14 writers and three publishers to receive grants of $3000. Tara Ison, Lee Ann Roripaugh, and Matthew Vollmer.